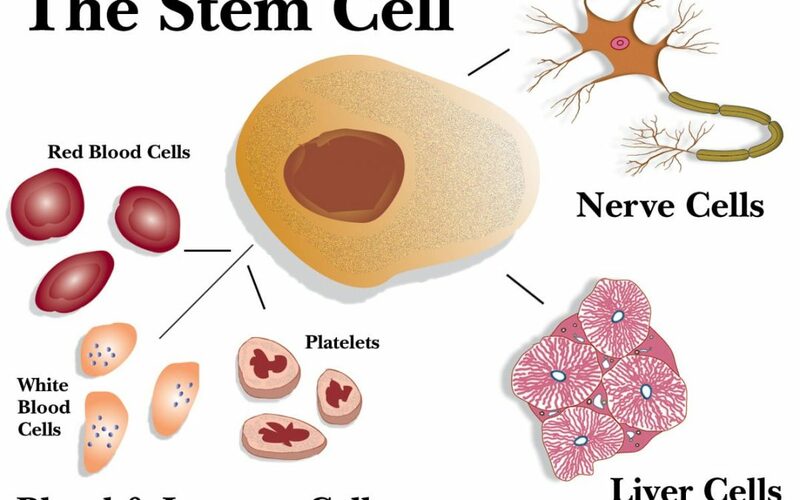 HBOT Stem Cells by Stimulating Nitric Oxide Synthesis. This is an actual study with evidence of Stem Cell Stimulation. Stem cell mobilization by hyperbaric oxygen. Thom SR1, Bhopale VM, Velazquez OC, Goldstein LJ, Thom LH, Buerk DG. We hypothesized that exposure to hyperbaric oxygen (HBO(2)) would mobilize stem/progenitor cells from the bone marrow by a nitric oxide (*NO) -dependent mechanism. The population of CD34(+) cells in the peripheral circulation of humans doubled in response to a single exposure to 2.0 atmospheres absolute (ATA) O(2) for 2 h. Over a course of 20 treatments, circulating CD34(+) cells increased eightfold, although the overall circulating white cell count was not significantly increased. The number of colony-forming cells (CFCs) increased from 16 +/- 2 to 26 +/- 3 CFCs/100,000 monocytes plated. Elevations in CFCs were entirely due to the CD34(+) subpopulation, but increased cell growth only occurred in samples obtained immediately posttreatment. A high proportion of progeny cells express receptors for vascular endothelial growth factor-2 and for stromal-derived growth factor. In mice, HBO(2) increased circulating stem cell factor by 50%, increased the number of circulating cells expressing stem cell antigen-1 and CD34 by 3.4-fold, and doubled the number of CFCs. Bone marrow *NO concentration increased by 1,008 +/- 255 nM in association with HBO(2). Stem cell mobilization did not occur in knockout mice lacking genes for endothelial *NO synthase. Moreover, pretreatment of wild-type mice with a *NO synthase inhibitor prevented the HBO(2)-induced elevation in stem cell factor and circulating stem cells. We conclude that HBO(2) mobilizes stem/progenitor cells by stimulating *NO synthesis.